The 3.3 mile, 10-foot wide paved trail twists and turns through the diverse landscapes of scenic Carlisle. Approximately 10,000 years ago, the last of the glaciers retreated from northern Warren County leaving behind a unique landscape along Carlisle’s North River. The river valley contains five distinct native ecosystems: a riparian wetland and woodland, a mesic and upland prairie and an oak savanna, all located within a distance of 2,500 feet. Accessing the Carlisle Nature Trail from the north end, visitors explore an off-street trail which passes the restoration of the five native ecosystems in the Scotch Ridge Nature Park, cross the bridge over North River, go past Carlisle Middle School, tunnel under Scotch Ridge Road and travel the on-street trail past the Aquatic Center, and on to the Summerset Trailhead. You can stay in Carlisle to visit the Farmer’s Market, catch a game at Lindhardt Park, relax at North Park, or spend time in downtown Carlisle. Everyone, whether they take a short or long ride, are encouraged to grab ice cream, a drink and appetizer. Please preview the trail on YouTube, courtesy of a drone. Our Fine Friendly Businesses Welcome You! 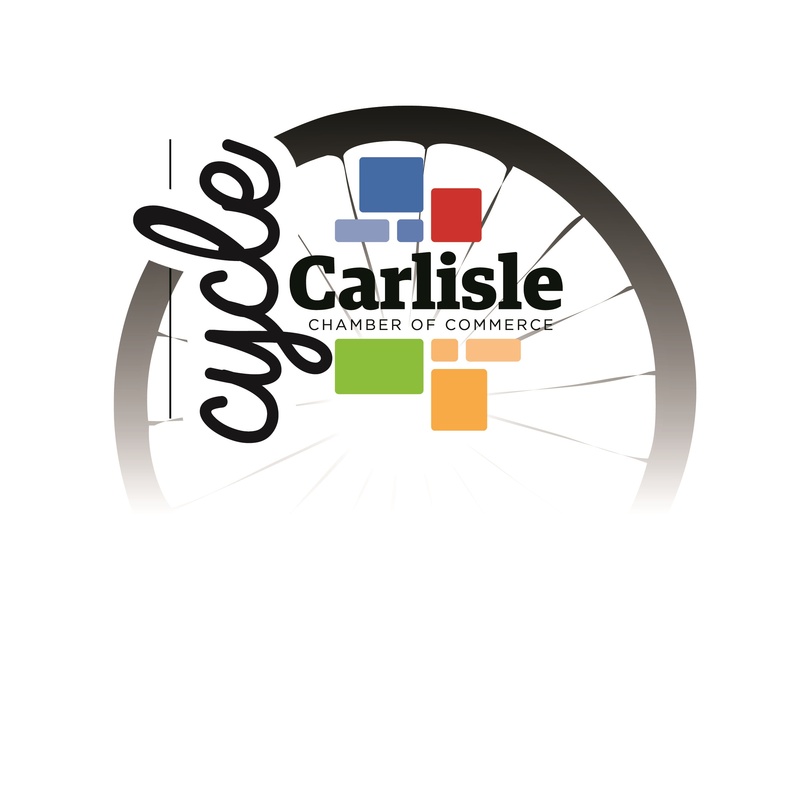 Carlisle Chamber of Commerce members welcomes cyclists and hikers to come off the trails, relax and hang out with your friends. You will find friendly business people, good food and drink, water bottle fills, and clean restrooms. You can plug in your device, use free Wi-Fi, and relax in air-conditioned comfort, or hang out on a patio or in a park. Our businesses are ready to take good care of you. You can take time to get pampered at Lucky Nails, or choose a stunning new hair color or cut at AyaLayne Hair Salon. The 4th Saturday morning of the month, The Randleman House serves an all-you-can-eat homemade breakfast buffet from 8:30 – 10:00. Worth it! Stop and have some fun at Summerset Winery. Relax with a glass of Iowa wine, and pop in to listen to live music (and dance) during their Sunday Tunes. We have some delicious food in Carlisle. You’ll love the barbeque at Back Alley Smokehouse. Find burgers, chicken, salads, fries and more at Cal’s Fine Food and Spirits. Our 3 Casey’s General Stores are well-stocked and waiting for you. A chocolate-dipped cone is the perfect chaser to sandwiches, taco salads and subs at Fiss’ Ice Cream • Subs • Salads. You can enjoy delicious pizza on the patio or while catching the game at Johnny and Mike’s Pizza. People travel from near and far for authentic Mexican at La Villa Mexican Restaurant. And you can easily grab your favorites at Subway of Carlisle. You can restock at Fareway, stop by the ATM at Peoples Bank or Great Western Bank, and take care of needed bicycle repairs at True Value Hardware. Have an accident? Mercy Family Practice Clinic is here, as is Carlisle Chiropractic Clinic PLC & Acupuncture, Wildcat Chiropractic, Cryo Health and Wellness, and 21st Century Physical Therapy. The 2017 Carlisle Downtown & Area Business District Map is available HERE! Air up the tires, grab a bottle of water, and ride the trails. Carlisle’s beautiful natural setting earned a Great Places Designation from the State of Iowa. Many of Carlisle’s highly-desired, happy and comfortable quality of life benefits can be accessed from the seat of a bike. The new Carlisle Nature Trail twists and turns and has some great hills through scenic Carlisle. It is a result of 13 years of planning and funding from the City of Carlisle and Vision Iowa. Cyclists and pedestrians can travel the offstreet trail from the Summerset Trail head through town to the Carlisle Middle School and on to the pedestrian bridge crossing North River at Scotch Ridge Nature Park near Peoples Bank. Plans are to connect with the City of Des Moines’ Trail System and eventually terminate at the Principal Riverwalk. Summerset Trail runs about 12 miles from 165th Place and Highway 5 in Carlisle to the Banner Lakes at Summerset State Park and on to the McVay Trail in Indianola. The ride to Banner Lakes is relatively flat and straight and offers many opportunities for bird and animal watching. Going on to Indianola the trail is more winding and hilly. At the village of Summerset, some hop off the trail, climb the hill, and ride to Summerset Winery for wine tasting and tours, or live music during Sunday Tunes. There are approximately .5 miles of trail from the Summerset trailhead to downtown Carlisle where friendly business people welcome riders. Cyclists may pedal up the hill to The Historical Randleman House or travel on to North Park. The Farmers’ Market and the Aquatic Center are also great destinations.